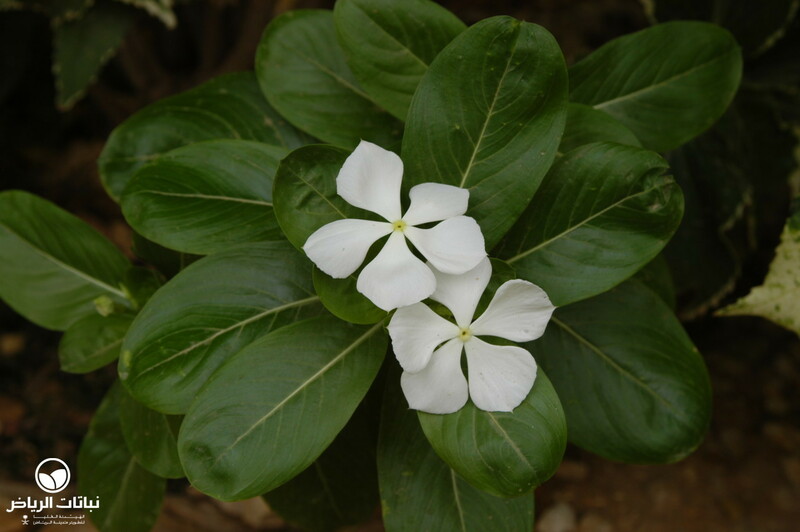 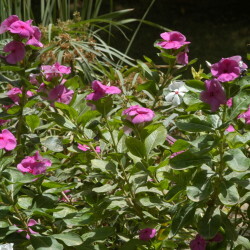 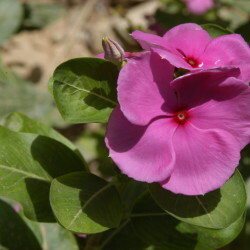 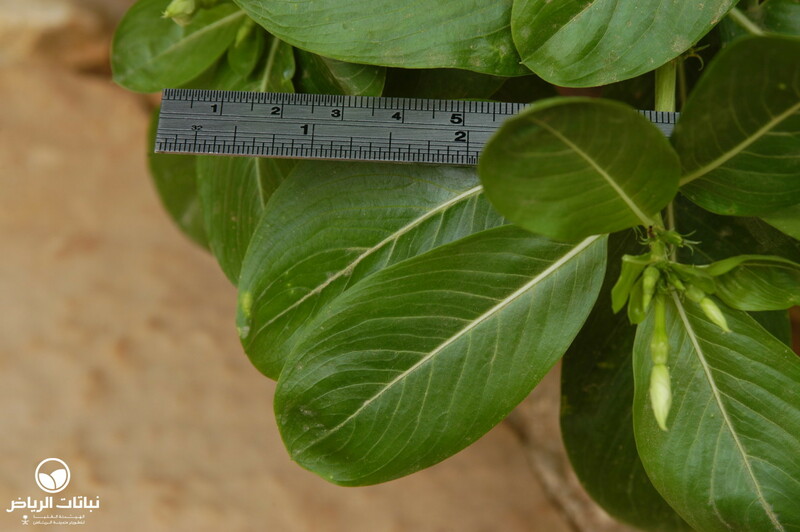 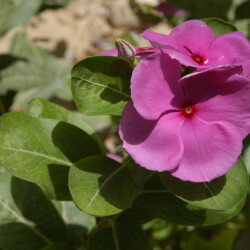 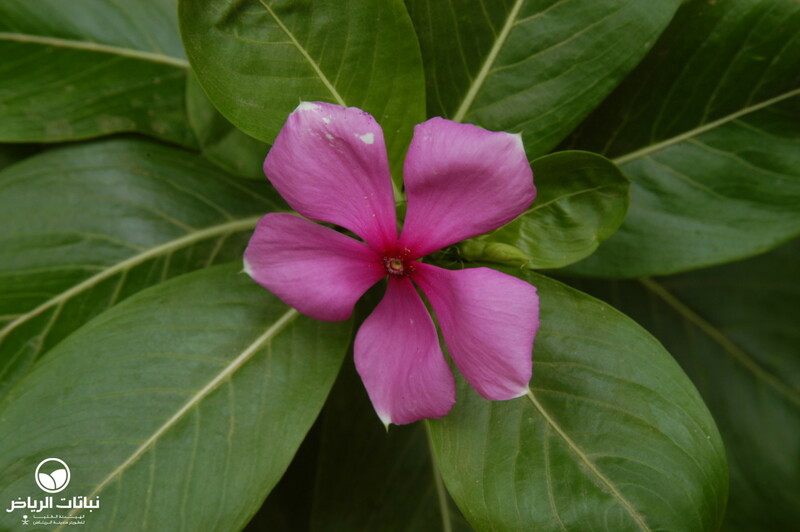 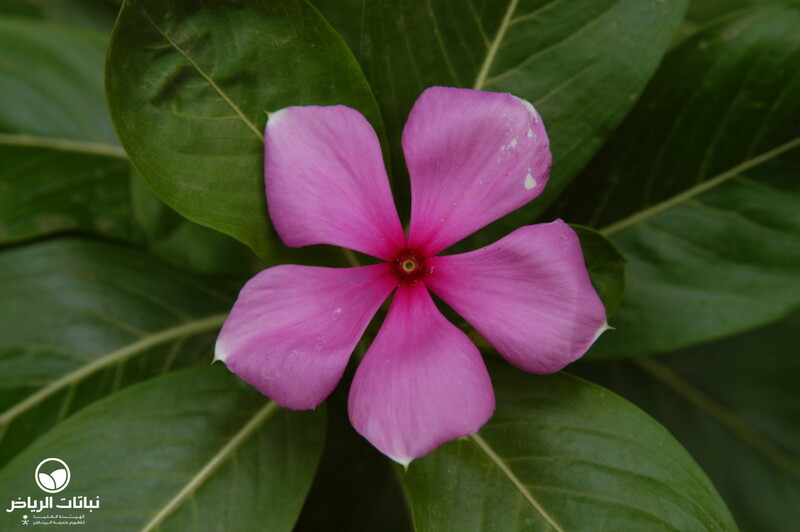 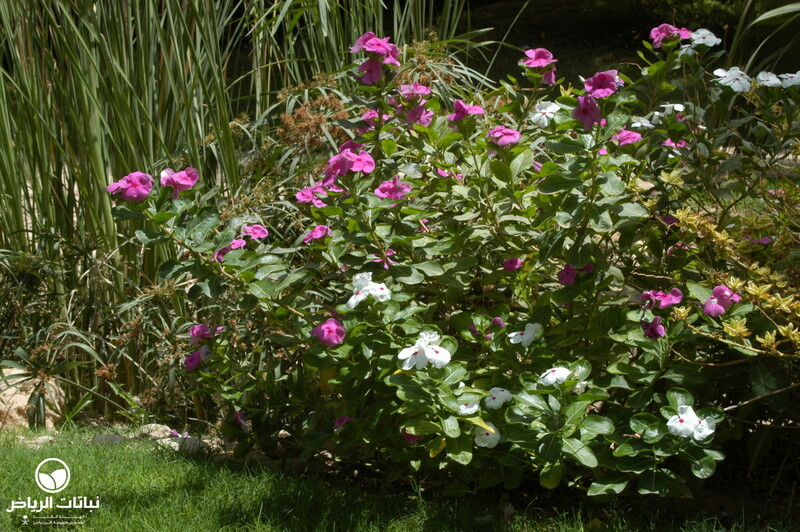 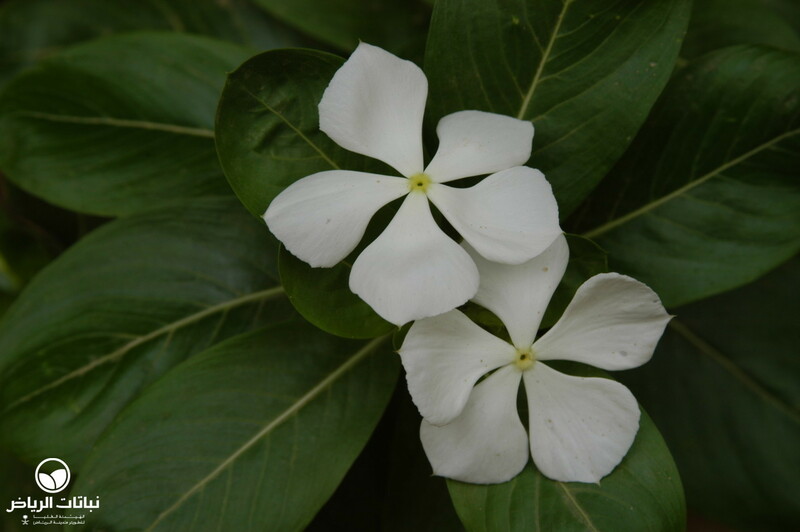 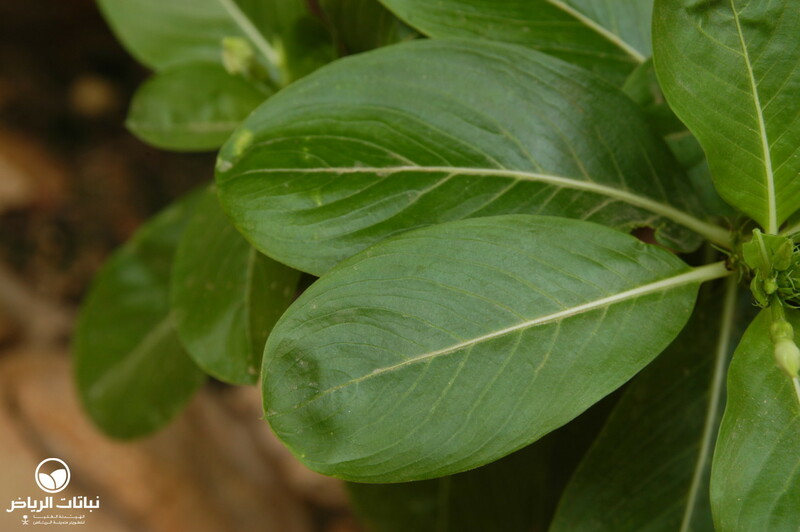 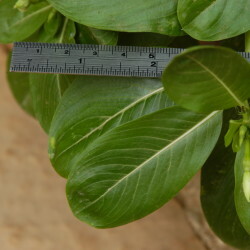 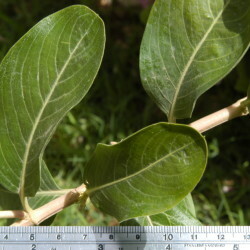 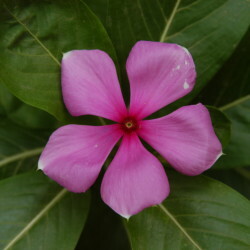 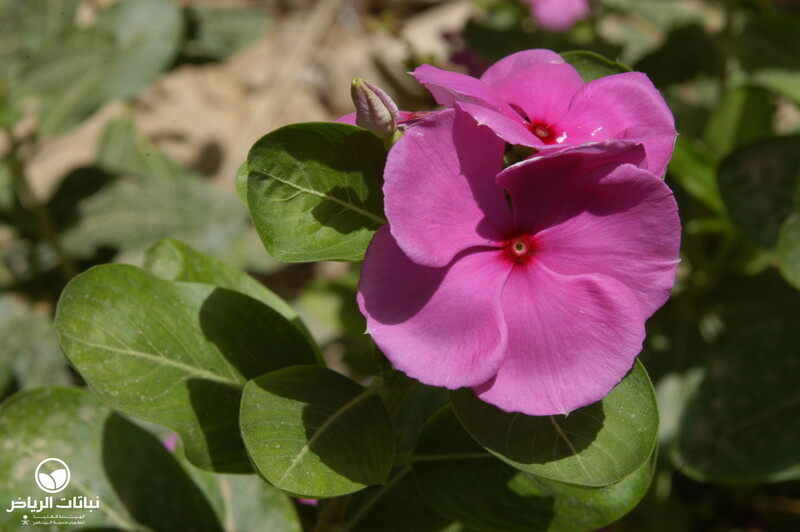 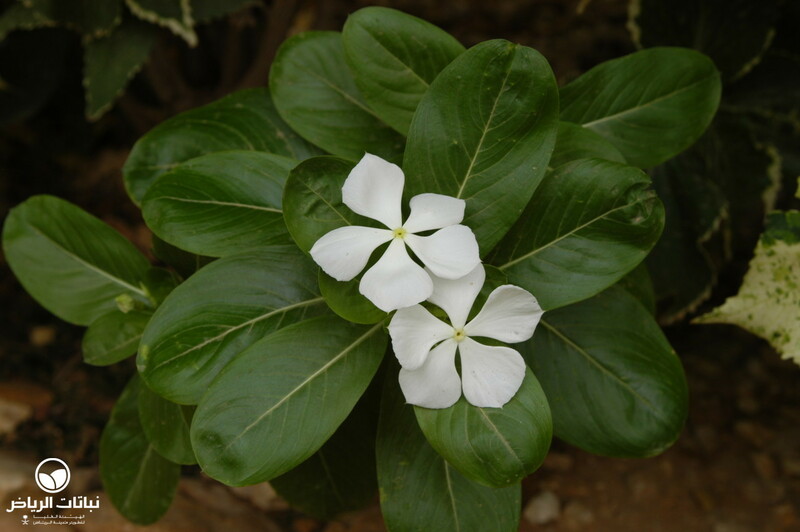 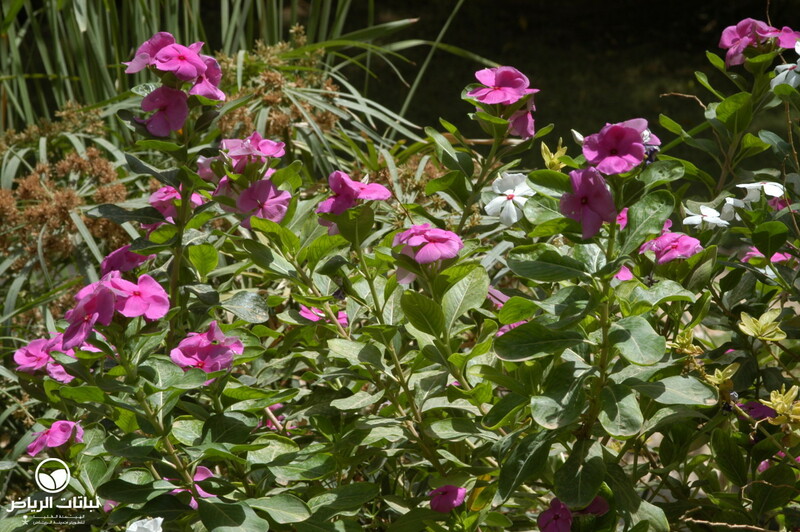 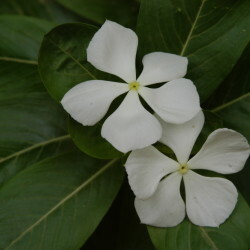 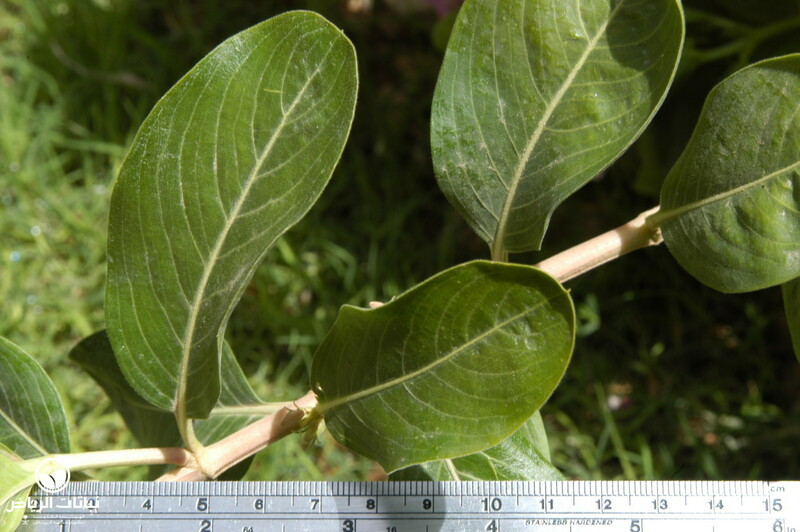 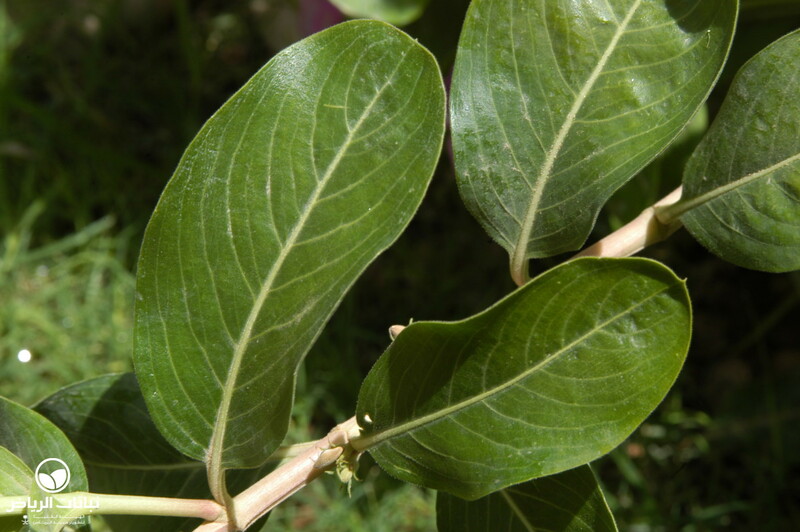 Originating in Brazil and southeast Asia, the Madagascar Periwinkle, previously known under the genera of Lochnera and Vinca, this small, erect, bushy perennial shrub has been a reliable plant, seen in Arriyadh for many years. 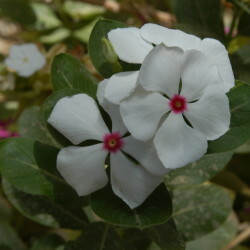 Available in a variety of colours from dark pink, to pink, white or white with a red eye, the showy flowers are large, flat and star-shaped. 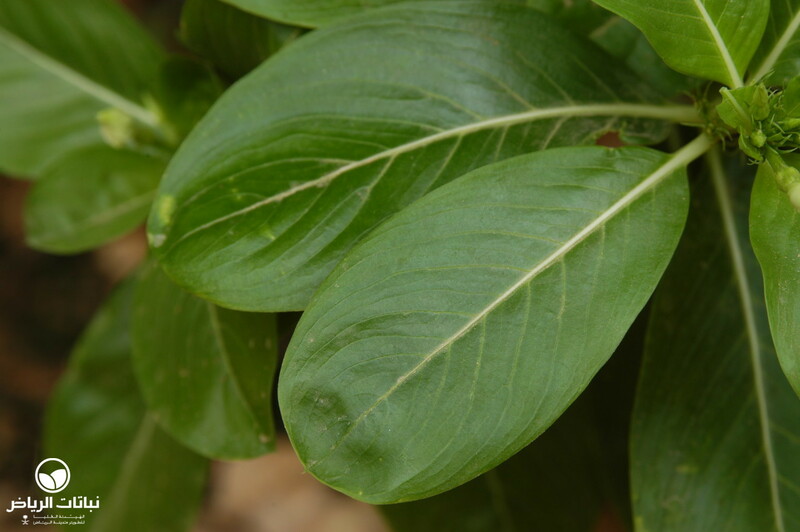 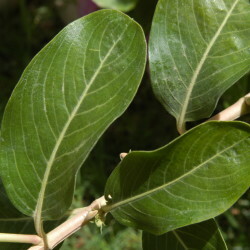 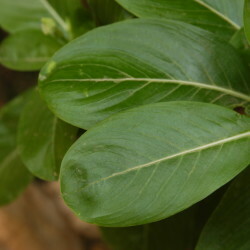 The leaves are oblong, deep glossy green with a centre vein, but the flowers are sometimes so numerous they almost seem to cover them. 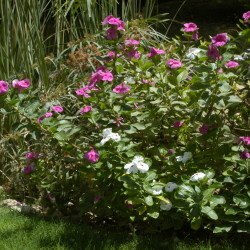 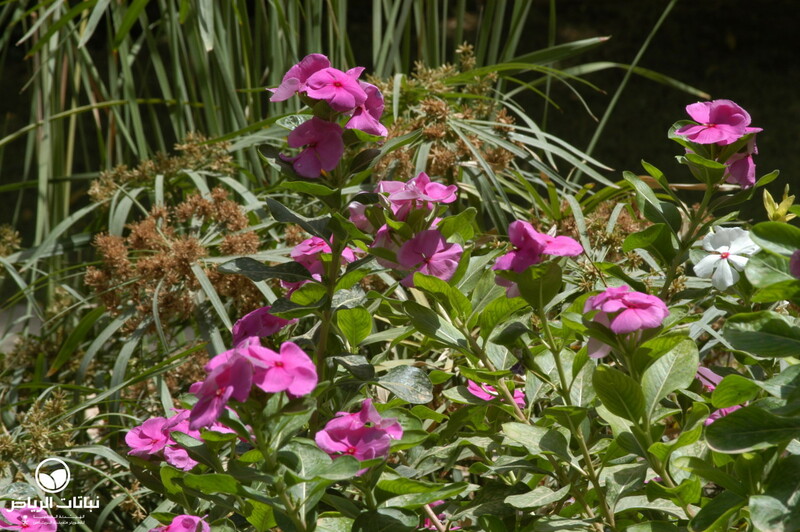 Quite frost-tolerant, it is said that the pink-flowering form is hardier, and self-sown plants revert to the pink anyway. 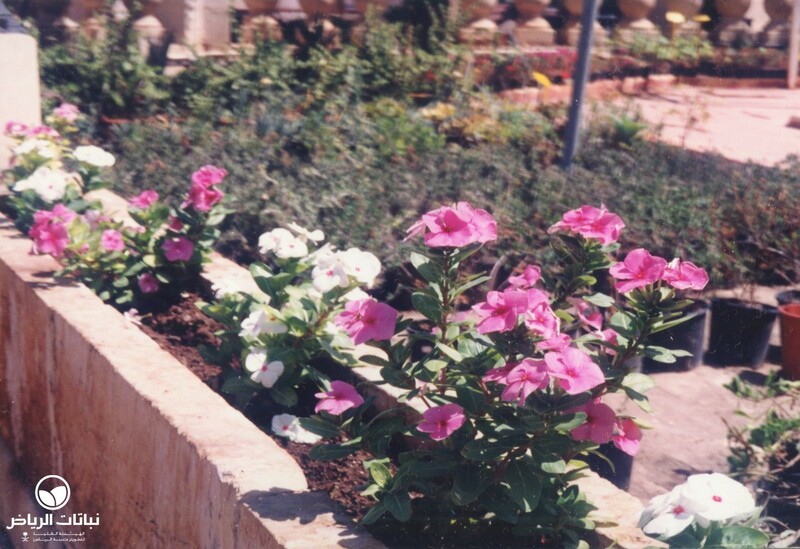 Flowering throughout the year, they thrive in full sun, have a medium tolerance to salinity and are also fairly drought-tolerant. 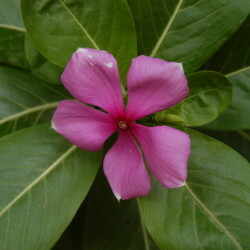 The plant is poisonous. 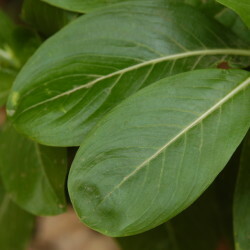 Propagated by seed and cuttings, plants tend to become straggly and can be pruned back to the lowest leaf for rejuvenation. 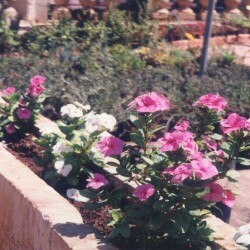 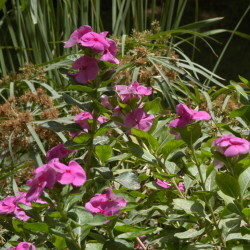 However, replanting every few years is recommended, since the flowering is best on younger plants. 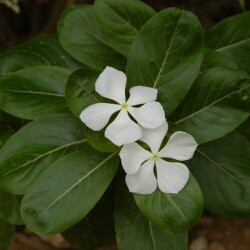 Prone to attack by white fly and other aphids, it also tends to become cholorotic. 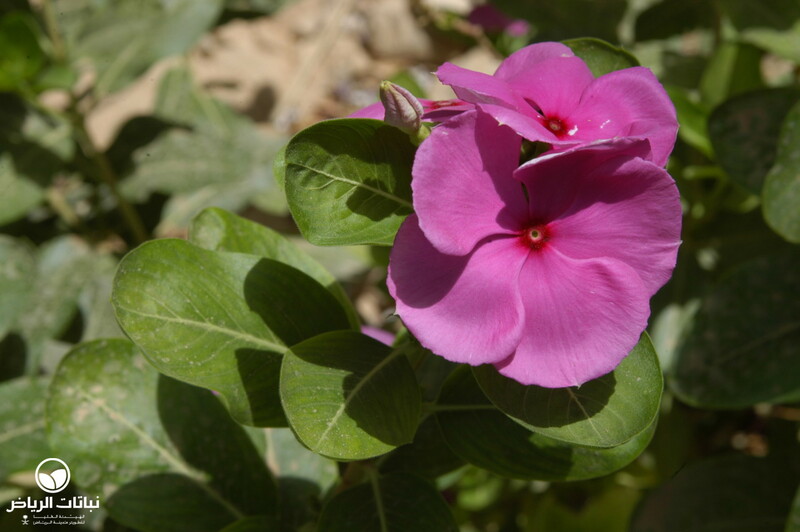 For a time, it seemed to be Arriyadh’s only flowering groundcover, since it was so common everywhere. 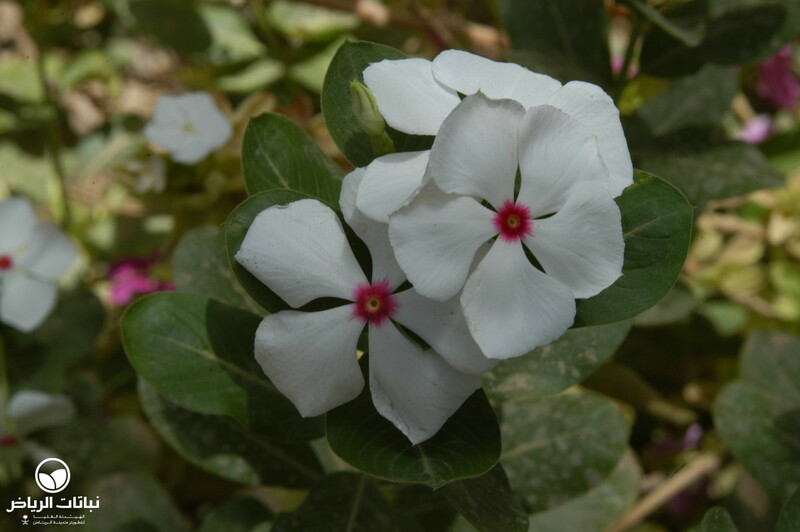 C. roseus is, nevertheless a good groundcover, when planted appropriately – the white form with the red eye can look very attractive in a ‘white garden’ in twilight – without the need for massive numbers. 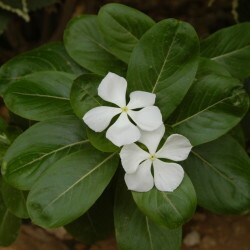 It is also useful as a pot plant.